Given length of India’s borders and two long coastlines, more S-400s are required, top IAF officer says. New Delhi: India may need a second squadron of the Russian S-400 missile defence system given the length of its borders and the Indian Air Force has projected this requirement to the government, a senior IAF officer has told The Print. The contract for the first is set to be signed this week during the two-day visit of Russian President Vladimir Putin starting Thursday, a Kremlin official had announced in Moscow earlier this week. 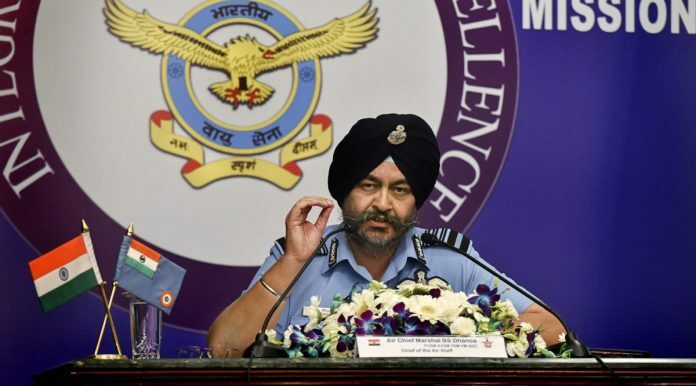 “Let us get the first one in place and, yes, we may need to get a second one, given the length of our borders,” a senior Indian Air Force officer said after Air Chief Marshal Birendra Singh Dhanoa’s annual press conference here. At the press conference, Dhanoa described the acquisition of both the Rafale fighter jet from France and the S-400 missile defence system from Russia as “game changers” and as a “booster dose” to shore up fast depleting numbers of squadrons and capabilities. India and Russia are going ahead with the S-400 deal despite objections from the US. Strong lobbying by the Indian government has raised hopes in New Delhi that Washington will give a waiver for the purchase of the S-400. But the US has its own concerns over the S-400, apart from the stated position that it will sanction all military exports from Russia. Its major — and unstated — concern over the S-400 is the range. The range — up to 400 km — could possibly bring platforms used by the US and its NATO allies as “flying command posts” within its crosshairs. This means that the principle of “safety-from-a-distance”, or stand-off capability, of many US platforms could be called to question. A battery of the S-400, complete with its auxiliary power unit, erector missile unit, missiles, radar and sensors, is also mobile, making its location difficult to detect. In this background, if New Delhi were to express aloud that it wishes to go in for a second tranche of S-400s, the Trump administration would probably lose less sleep in sanctioning the transaction. Almaz-Antey, the maker of the S-400, is on the list of Russian entities to be sanctioned. It is one of Russia’s largest defence companies. But, as an IAF officer explained, given India’s lengthy and unsettled borders and two long coastlines, “it makes operational sense to have about 10 systems of the S-400”. Apart from India, China has already contracted the S-400. Egypt, Saudi Arabia and Turkey are also in negotiations with Russia to contract the system. In the current deal, the IAF has proposed to buy five systems for about $ 5.4 billion. It would take up to 24 months from the contract for the Russians to deliver the systems, Air Chief Dhanoa said at the press conference. The US offered a “comparable system” to India during the 2+2 talks between the foreign and defence ministers in early September. But the US does not have a system yet that mimics the S-400, Pentagon officials have admitted to Indian counterparts. The S-400 missile batteries that India has proposed to buy would likely be stationed in New Delhi, Mumbai, the western border and on the east coast. But because they are road-mobile, their positions would not be static, the IAF officer explained. India should go ahead with procurement of the S400 missile system from Russia. It’s the most formidable defence system in the world today. Further we need to get our priorities clear. Do we have to be a stooge of the US? They have interfered in the affairs of every country, that doesn’t toe their line. How quickly we have forgotten the sanctions imposed on us by the US and it’s Allies in 1998, for Pokhran II, and how the Indian armed forces was stuck with no spares for Western origin aircraft and military equipment. Yet we forget that the Russians have supported India all along. There is no way India can be weaned off Russian military hardware, a staple for fifty years. Better, far sighted diplomacy would have ensured, as an integral part of the strategic dialogue India has had, at least since the Jaswant Singh – Strobe Talbott days, that while the United States would be India’s foremost friend and partner, an Either or binary would not be insisted upon.